Though it appears that Congress may actually get something big done on justice reform this year, be it the SAFE Justice Act or a long-awaited Senate deal that would include some modest sentencing and prison reforms, there are some who prefer the costly and unsustainable status quo that has locked up too many low-level, nonviolent offenders and caused federal corrections spending to skyrocket. For example, in his latest column at the Wall Street Journal, Jason Riley, a senior fellow at the Manhattan Institute, argued that the policies of the past have worked and claimed that reform would hurt poor and black communities. Riley honed in on 2002 data from the Justice Department showing that a high percentage of nonviolent offenders who were released in 1994 reoffended over a three-year period, some of which were rearrested for violent crimes. "[T]he record of predicting which convicts will turn a new leaf," Riley writes, "is nothing to brag about." 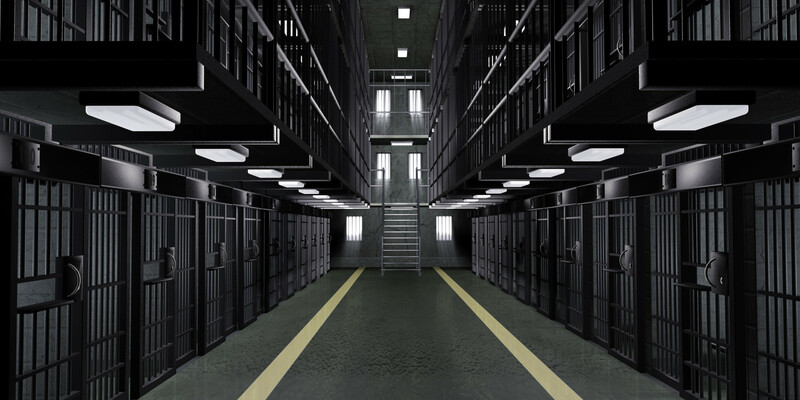 It is true that the repeat offender (recidivism) rates are depressingly high, but a contributing factor to this is that the corrections system warehouses offenders, 95 percent of whom will be released from prison, rather than rehabilitating them. Nonviolent offenders represent roughly 60 percent of all federal prisoners, and most of them have little to no criminal history. They enter in the system, they serve their sentence, and they are released back into society facing hurdles that prevent them from leading productive lives. As a result, they turn back to crime. In short, while offenders may pay their debts to society, they are not necessarily rehabilitated despite the high cost of their incarceration. Riley suggests that crime rates will rise if low-level, nonviolent offenders receive shorter sentences. But he ignores evidence from traditionally conservative states -- such as Texas, South Carolina, and Georgia -- that passed reforms and saw reductions in prison populations and lower crimes. Texas, which enacted its first reforms in 2007, has experienced a 12 percent drop in its prison population and a 21 percent reduction in crime rates, according to Pew Charitable Trusts, while South Carolina and Georgia saw incarceration rates fall by 9 percent and 3 percent and crime rates fall by 8 percent and 2 percent, respectively. The reason these states enacted reforms was because of the unsustainable and costly growth in their prison systems. State lawmakers, realizing that the status quo was not working, focused on sentencing and reentry reforms -- through drug treatment programs, work training, and education -- designed to lower offenders' risk of committing crimes. Rehabilitation was the key to changing the culture of corrections, and, as the results show, it worked. Despite the clear evidence from states, Riley takes aim at conservative support for justice reform. "Some conservatives share the president’s concern that maintaining a large prison population is too costly," he notes. "Still, the sentencing reforms of the 1980s worked. As more criminals were removed from society and sent away for longer periods, crime plummeted." Correlation does not equal causation. Long sentences for low-level, nonviolent offenders had little to do with the drop in crime rates. In a February 2015 study, What Caused the Crime Decline?, the Brennan Center for Justice noted that other factors were at play. "[I]ncreased incarceration has been declining in its effectiveness as a crime control tactic for more than 30 years. Its effect on crime rates since 1990 has been limited, and has been non-existent since 2000," the study's authors explained. "More important were various social, economic, and environmental factors, such as growth in income and an aging population. The introduction of CompStat, a data-driven policing technique, also played a significant role in reducing crime in cities that introduced it." Another argument Riley makes is that sentencing reforms that will allow more low-level, nonviolent offenders to receive more appropriate punishments will hurt poor and black communities because they benefited the most from harsh and long sentencing policies mandated by Congress. Here again, Riley is off the mark. A 2014 National Research Council of the National Academies study, The Growth of Incarceration in the United States: Exploring Causes and Consequences, noted that harsh sentencing policies actually exacerbated existing problems in poor and minority communities. "The rise in incarceration rates marked a massive expansion of the role of the justice system in the nation’s poorest communities. Many of those entering prison come from and will return to these communities. When they return, their lives often continue to be characterized by violence, joblessness, substance abuse, family breakdown, and neighborhood disadvantage," the study explained. "It is difficult to draw strong causal inferences from the research, but there is little question that incarceration has become another strand in the complex combination of negative conditions that characterize high-poverty communities in U.S. cities." Riley, whose columns are usually well argued and thought-provoking, may have a case to make if there were not examples of successful justice reforms the state level. But those examples do exist, and conservative states have consistently proven that innovative policies reduce crime and repeat offender rates, as well save taxpayers money. The undeniable success from these states is why conservatives in Congress -- like Sen. Mike Lee (R-Utah), Rep. Jim Sensenbrenner (R-Wis.), and many others -- are hoping to produce legislation that will bring state-proven and long overdue reforms to the federal corrections system.